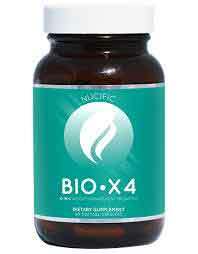 Nucific Bio X4 is one of a number of health and wellness products developed and marketed by Nucific. The company shows some commendable ethics and is very committed to conducting its business in an “Earth-friendly” way by only using renewable sources of energy and distributing its products in packaging made from recycled material. Negatives: We prefer weight loss products that offer multiple benefits. What is Nucific Bio X4 and How Does it Work? The official sales page suggests Bio X4 is mainly designed to be an appetite suppressant and, if it can provide a sufficient level of hunger control, people who use the product in the recommended way should be able to cut back on their calorie intake without having to face the normal misery caused by a belly that is more empty than it used to be. Like a lot of diet pills, Bio X4 is also designed to boost the metabolism because this increases calorie expenditure, thereby causing a greater need for fat burning. Bio X4 is also intended to be an energy provider. Again, this is nothing new. Most diet pills are designed to offer this feature to help prevent diet-related fatigue. The Bio X4 diet pill formulation also contains probiotic bacteria digestive enzymes that help improve digestive health. That’s not a standard diet pill feature, but nor is it a particularly necessary one. Lactobacillus acidophilus blend (L. rhamnosus, L. acidophilus, L. planterum): Lactobacillus acidophilus is located in various areas of the body including the mouth and intestines. It’s sometimes alleged to aid lipid metabolism, but further study is much to be desired. Bifidobacterium blend (B. lactis, B. animalis): A probiotic bacterium that is found in human breast milk and many dairy products. It’s believed to be good for soothing digestive disorders and reducing the symptoms of irritable bowel syndrome (IBS), but further study is required. Amylase: A digestive enzyme found in human saliva. The body uses it to break down carbohydrate. It’s inclusion here may be unwise because extra amylase may boost the body’s ability to extract calories from food and encourage weight gain. This is the same enzyme carb blocking products are designed to weaken. Bromelain: An enzyme that is naturally-occurring in pineapple. Some research suggests bromelain may have anti-inflammatory abilities. Lipase: A digestive enzyme manufactured by the pancreas. Crohn’s disease and certain other medical conditions may deplete lipase. This can cause weight gain because the body uses lipase to break down fats. Green Tea (100mg): A popular diet pill ingredient. Numerous studies show green tea has the ability to boost the metabolism and encourage thermogenic fat burning. The results of one study suggest it can go on doing this for up to 24 hours, but the amount provided here is a little on the low side. Caralluma Fimbriata (166mg): A succulent plant extract that boasts proven hunger-curbing capabilities. Caralluma fimbriata is a good ingredient, but the amount here is probably too low to deliver good results. Usage Instructions – Three capsules are needed per day. That’s one with breakfast, another with lunch, and the final pill of the day is taken with the evening meal. Nucific says no known side effects have been reported and point out the fact the capsules are gluten and allergen free. However, it would be unwise for women who are pregnant or nursing to use a product like this without first obtaining their doctor’s approval. People who have pre-existing health issues should show the same degree of caution, as should anyone who would need to use the product alongside medication. You can only buy Bio X4 from the Nucific website. Each bottle provides a 30-day supply of pills and customers are encouraged to place larger orders by the offer of multi-buy discounts that can provide savings of up to 18%. All Nucific products are sold with a 90-day money back guarantee. There are some things we like about this product, but there are others we do not. Probiotic bacteria can boost levels of “good bacteria” in the gut and this has been linked to improved digestive health and may also provide many other health benefits, so the Probiotic Blend is not without value. Digestive enzymes aid nutrient absorption and may also improve gut health, but we still think the addition of amylase is unwise and have to question if the Digestive Enzyme Blend is really needed. Bearing in mind the fact Bio X4 is primarily intended to function as an appetite suppressant, it would have been nice to see a larger dose of Caralluma fimbriata or the addition of another powerful appetite suppressant to provide additional support. The formulation could also be greatly improved by a larger dose of green tea and, all things considered, the amount of potential this product has as a weight loss provider is rather poor. The formulation may offer more value to people who suffer from digestive problems than it will to people who need help to lose weight, but those who wish to give the product a go and are not satisfied with the results obtained should be able to reclaim their money easily enough via the guarantee. 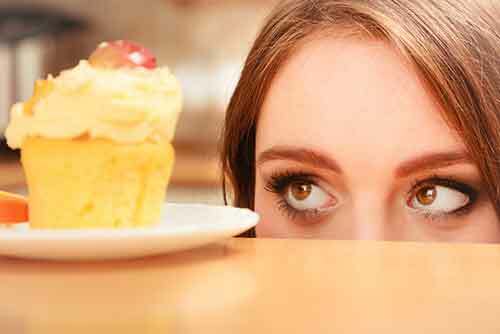 Suppressing appetite is a great way to cut daily calorie consumption and ultimately lead to weight loss. The principle has been researched, studied and written about many times over decades.